For years, its warm climate, relatively inexpensive cost of living and laidback lifestyle have attracted tourists and expats from around the world for both short-term and long-term stays. Some of the world’s most beautiful beaches are located in the south of the country. From the bustling seaside resorts of Koh Samui and Hua Hin, to the more tranquil islands of Phi Phi and Lanta, there is something for everyone who dreams of retirement in the tropics. Some expats prefer to live in the smaller villages that dot the coastlines on both sides of the country, where accommodation costs are much less expensive and life is slower paced. It is still possible to find furnished townhouse and apartment rentals within five minutes of the beach for less than $670 per month. Bangkok is the centre of the country, both geographically and financially. From a small trading post in the 15th century to a metropolitan area with a population of over 14 million, this massive city dwarfs Thailand’s other urban centres. Some foreign retirees have chosen to live in this populous capital and enjoy the hubbub atmosphere of the city. The colourful markets, modern shopping centres, numerous entertainment venues and efficient transport system are just a few of its inherent benefits. Other expats prefer the serenity and inexpensive lifestyle of Chiang Mai in the northern part of the country. The “old city”, now the centre of a sprawling metropolis, is surrounded by a deep moat and remnants of a wall that once offered protection against the armies of the Mongol Empire. This Lanna cultural centre of Thailand boasts over 300 colourful Buddhist temples, and several universities and technical colleges. Chiang Mai appeals to many expats because it has managed to retain its local traditions and culture while providing all the modern amenities that are sought after by its newest residents. Although lacking in beaches, the northern part of Thailand is dotted with several large national parks. Here you will find Doi Inthanon National Park, where the highest mountain peak in the country is located. Those who enjoy the outdoors flock to this area of the country to partake in mountain biking, hiking, camping and touring the local mountain roads to visit the many interesting hillside tribe villages. Thailand is a great place to live—full- or part-time. After spending time in the country, many expats are told by their friends that they look 10 years younger. With the wonderful weather, great food, inexpensive healthcare and friendly local residents, it is not difficult to understand why many choose to call Thailand their second home. 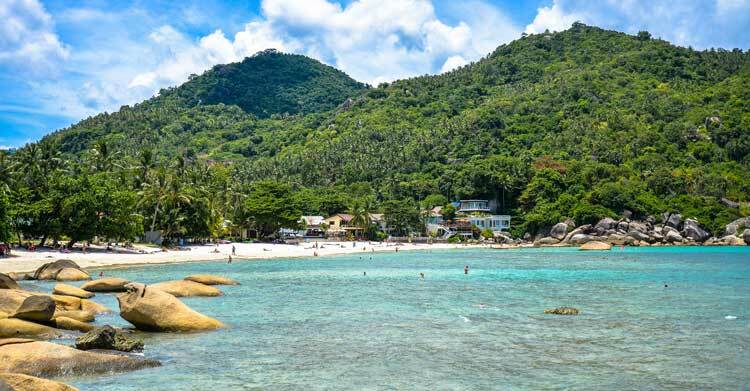 When it comes to the ideal beach lifestyle abroad, many expats look to Koh Samui in Thailand where the affordable costs make for ultra-easy living. One of the best and most popular expat destinations in northern Thailand is Chiang Mai. It's the original mountain retreat, surrounded by some of the highest mountain ranges in the country.